Canadian researchers are leading an effort to grow crops in space, paving the way for humanity to live on other worlds and push the frontiers on Earth. Food is the main obstacle to long-term space exploration. It limits how far away from Earth we can travel and how long we can stay in space. We can stock enough food for inhabitants of the International Space Station or even for travel to the moon and back. 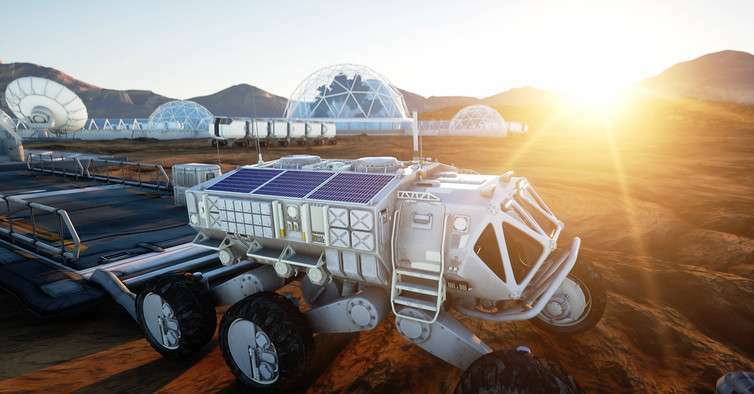 But if we are to travel to Mars and support long-term exploration missions, we need bio-regenerative, self-sustaining food production systems. Or, in simpler terms, space farms. 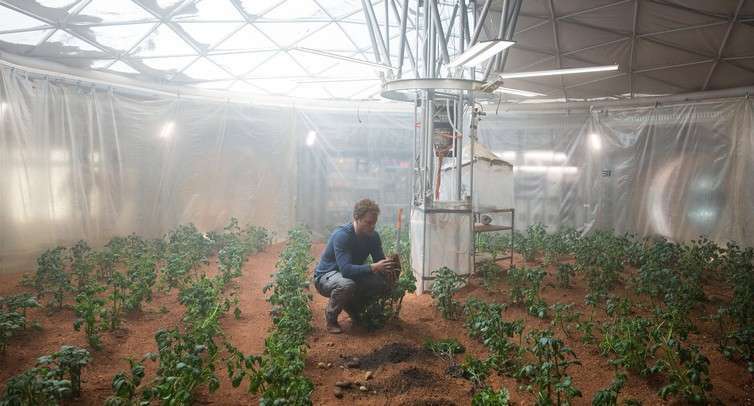 Farming in space is probably one of the biggest challenges we will have to overcome if we are ever going to spend extended periods on the red planet within the next 150 years. But it's a challenge Canadians can definitely lead in tackling. Although people have signed up to be a part of the first human settlement on Mars, our next home planet is more likely to be one with fewer environmental challenges. Mars has a miserable climate. Its average temperature is below -60℃, its atmospheric pressure is less than one per cent of Earth's and made up largely of carbon dioxide, and it can be rather windy and dusty for long periods. There are also the dangers of radiation exposure, and without a molten core like ours on Earth —meaning virtually no magnetic field —the planet's environment would have to be significantly altered if we were to ever live there. However, that's not to say we won't be hanging out on the red planet. When Canada turns 300, we will have hundreds of space explorers spending decades searching for life on Mars. I say decades because a round trip takes two-and-a-half years, so when we do go, we will want to make it worth our while. This means setting up enclosed housing, research facilities and space farms. This is where controlled environment systems will come in. Canada is among the world's leaders in biological life support research and technology development. This is because when it comes to farming, the severe conditions of space are similar to those in the northern parts of our country. Trying to grow a tomato on Mars is much like trying to grow a tomato in a snowbank: You can't without creating a controlled environment. At the University of Guelph, we are moving toward growing crops in space with the research we are conducting on controlled environment systems. Our ongoing work in this area has revealed that plants can function under some strange environmental conditions such as very low atmospheric pressures and much less oxygen than on Earth. This means we don't need enclosed structures that precisely replicate Earth's atmosphere for plant-based life support systems on Mars. In 150 years, we will grow food on Mars in inflatable structures. Inside, everything will be designed to ensure the highest crop yield. The intensity of light —and even its colour or spectrum —will be tailored for each individual crop. Air flow and pressure, temperature, nutrients, carbon dioxide levels and humidity will be strictly controlled to create the ideal atmosphere in which plants can thrive. We will grow a conventional array of crops associated with a balanced and nourishing vegetarian diet. Most of the vitamins and minerals we need are available in plants and we will get our protein from soybeans and similar crops. This huge variety of plants, or "candidate crops", will be neatly packed or layered into a small space —the opposite of the expansive Canadian prairies. These compact crops will be produced using limited amounts of water and zero waste, because away from Earth, you can't afford to throw anything away. We must learn to recycle everything, as it will be a matter of life and death —extreme agriculture at its most challenging. The work we are doing at Guelph is designed not only for space, but for Canadians and others worldwide who may live in places where food security is a problem and extreme agriculture is the only way to address it. Today, we spend millions of dollars flying perishable food to Northern Canada, such as buying strawberries from Mexico for sale in Yellowknife. This doesn't make sense. Sustaining our presence in the North depends on food production in the same way that sustaining our presence on Mars will. By creating these systems, we will be able to inhabit challenging parts of Canada, such as the North, and other parts of the world, such as the deserts of the Middle East. Space exploration generates invaluable technology on all fronts. For food production, space exploration will enable us to learn how to grow crops almost anywhere and with as little impact on the environment as possible. By the time Canada's 300th birthday rolls around, we will have overcome the challenge of living on Mars and the huge advancements we will have made to get there will serve not only space exploration but our own survival here on Earth. How plants are grown beyond Earth? Black soldier fly larva will most likely be one of the first non vegetable based protein to be offered due to its conversion rate of plant matter. Combined with vermiculture and you could actually produce soil as well. If there are hydrocarbon deposits on Mars (say oil or methane), bacteria can be grown on those and then eaten. It would be really funny to find an oil deposit there. Might be a good idea to do that here, too. There's still some issues with a pure vegetarian (or vegan) diet - especially for kids during the growing stages. Then export it to other parts of the Solar System. Given the prices of moving stuff over enormous distances (and don't kid yourself: Getting from A to B in the solar system involves enormous distances) it's probably far cheaper to set up a greenhouse/hydroponics operation wherever humans are supposed to live for extended periods. -Fake meat had come a long way in the last few years. Tofurkey has products which are indistinguishable from processed meat, and are actually good right out of the package. I've had oriental chicken at the whole foods salad bar which is as good as the original. Re engineered foods, I remember a sci-fi story with food grown on the outside of spacecraft hulls. We should be able to eventually make anything we want. "we need bio-regenerative, self-sustaining food production systems"
-assuming we won't be able to manufacture artificial foods without needing to grow anything. "In 150 years, we will grow food on Mars in inflatable structures"
-I just don't think a self-sufficient colony of perhaps 1M people is going to have a significant number of inflatable surface structures. Rather, it will be based underground, inhabiting tunnels and voids carved by robotic tunnelers and excavators. Here on earth we mine raw materials to construct habitable structures elsewhere. On mars we will simply inhabit the mines. With all of the real problems facing the western world today it really bothers me that people are being paid by governments and publicly funded schools to produce this drivel. We haven"t even figured out how to live here in a peaceful and equitable manner and yet feel that space is the answer. Maybe that is the humans' way of learning to live peacefully and with their basic needs covered. That, my short-sighted friend, is exactly why we need it. "That, my short-sighted friend, is exactly why we need it. " So utopia has been moved to Mars eh. BTW how do you plan to insure that only like minded people make the trip. You know, you would not want to accidentally include anyone who might upset the political/social system and start discord. Its an answer to a different question... "How will we solve humanity's problems if humanity is extincted?"